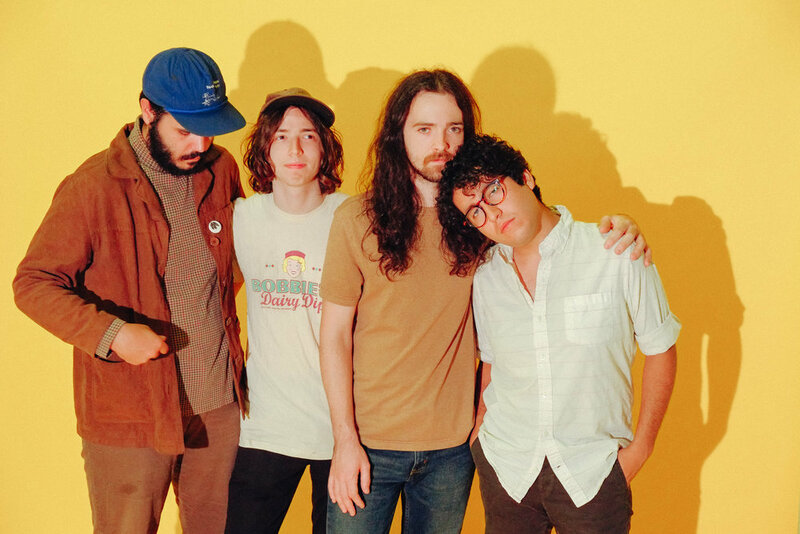 Sun Seeker has drawn applause for their unhurried breed of Cosmic American Music and with BIDDEFORD (Third Man Records), their 2017 debut EP, the Nashville-based band more than affirm their promise. The EP – which follows Sun Seeker’s widely acclaimed Third Man debut single, 2016’s “Georgia Dust” b/w “No One Knows” (TMR322) – sees Alex Benick (guitar, vocals), Asher Horton (bass guitar, vocals), and Ben Parks (drums, vocals) exploring nostalgia, melancholy, and emotional turmoil via laidback psychedelia pollinated with tight harmonies, classic folk songcraft, and country rock spirit, an ageless approach that is simultaneously archetypal and now utterly their own. Sun Seeker has toured extensively, supporting acts such as Rainbow Kitten Surprise, Peach Pit, The Districts, and Jessica Lea Mayfield. 2019 will see their long awaited full length album release (produced by Pat Sansone - Wilco, Autumn Defense), accompanied with much more touring and festival plays soon to be announced.